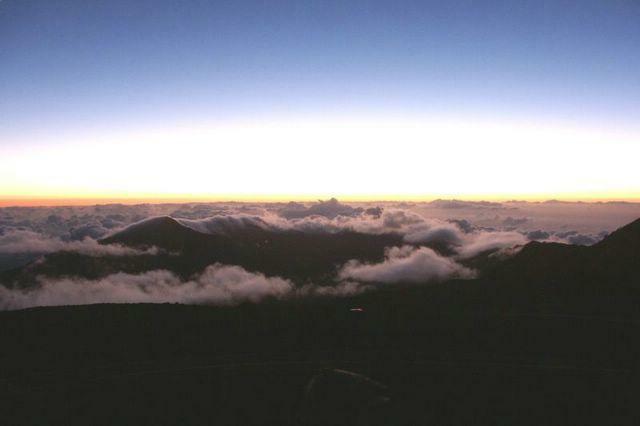 Sunrise on Haleakela -- From 10,000 feet you look down at the clouds. You can see the sunrise starting to appear. Still a bit on the dark side.